Shoshana Felman, Robert Woodruff Distinguished Professor of Comparative Literature and French at Emory University, has been elected a Fellow of the American Academy of Arts and Sciences, one of the nation's most prestigious honorary societies and a center for independent policy research. "Shoshana Felman has pushed the boundaries of multiple disciplines through her writing, research and teaching on the complex relationships between French and comparative literature, and on basic insights of the humanities at large," says Emory Provost Earl Lewis. "She has explored the links between literature and psychoanalysis, philosophy, theater, women's studies, Holocaust studies, testimony, trauma and the law." The 229 new Fellows and Foreign Honorary Members announced today join one of the world's most prestigious honorary societies. A center for independent policy research, the Academy celebrates the 230th anniversary of its founding this year. The scholars, scientists, jurists, writers, artists, civic, corporate and philanthropic leaders include winners of the Nobel, Pulitzer and Shaw Prizes; MacArthur and Guggenheim fellows; and Grammy, Tony and Oscar Award-winners. Felman is among 229 new leaders elected in the sciences, the humanities and the arts, business, public affairs and the nonprofit sector. The author of 10 books and dozens of essays translated into many languages, Felman recently issued new editions of her major books initially published in France: "The Scandal of the Speaking Body" and "Writing and Madness: Literature/ Philosophy/Psychoanalysis." In 1993 she contributed to the fields of education and feminist reflection her collection of essays, "What Does a Woman Want?" 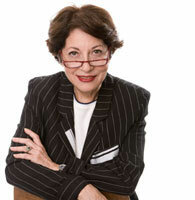 Felman's recent work has dealt with law and its relation to fundamental ethical, psychoanalytic and literary questions, a continuing investigation that began with "Testimony: Crises of Witnessing in Literature, Psychoanalysis and History" (1992), and continued in "The Juridical Unconscious: Trials and Traumas in the Twentieth Century" (2002). "The Claims of Literature: A Shoshana Felman Reader" (2007), gathers her most influential and exemplary essays, as well as short responses to her work by leading theorists. Established in 1780 by John Adams and other founders of the nation, the Academy undertakes studies of complex and emerging problems. Its membership of scholars and practitioners from many disciplines and professions gives it a unique capacity to conduct a wide range of interdisciplinary, long-term policy research. Current projects focus on science and technology; global security; social policy and American institutions; the humanities and culture; and education. View a complete list of the 2010 class of new members (PDF).